Where Imaginations Come To Life! 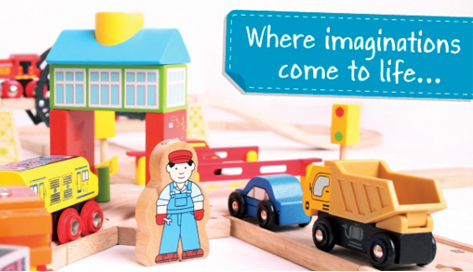 Loved for its quality, nostalgic value and educational nature, Bigjigs Rail is a collection of wooden railway toys which has inspired young minds since 2005. It is one of the most extensive wooden railway systems on the market with a varied range of track, trains, sets and accessories. Bigjigs Rail endeavours to ensure that each item has been carefully designed and crafted, maximising play value whilst creating a safe, long lasting and affordable product. The range allows children to develop and learn at their own pace, in a fun and engaging way. Delivering educational, fun, nurturing, affordable and safe wooden railway items, Holdson are proud to distribute this brand in New Zealand. Bigjigs Rail looks to inspire, stimulate and encourage the development of children through cognitive play. 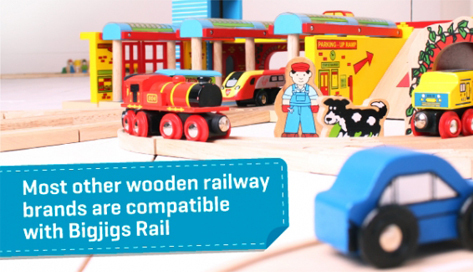 Compatible with other wooden railway systems, the Bigjigs Rail range is made from high quality responsible sourced raw material.